At first, I thought it was merely another Chinese movie. But when someone told me that this is a Hokkien show, I grew afraid that I could not understand the show even more than a Mandarin show. But it was surely a relief when I saw that there were subtitles for this show. Anyway, although there are Hokkien dialogues throughout the movie, there were a mixture of Chinese dialects in there. The show features the son of a Din Tao (traditional temple performance) leader troupe called A-Tai. He was abroad learning music but dropped out and came home to his family where he plans to move to US. His father, Uncle Da, is always disappointed with his son and this makes A-Tai hate his father. One day, the rival Din Tao troupe which is led by Wu Zheng, also a pupil to Uncle Da's master, confronted them on the streets. A-Hsien, the son of Wu Zheng, looked down on A-Tai which angered him and in the spur of the moment blurted out that if he were the leader of his father's Din Tao troupe, they would be the best and the most famous of them all. This led to a wager where A-Tai will be the leader of his father's Din Tao troupe and they have 6 months before a competition will be held to see who will be the best Din Tao troupe. Will A-Tai, who knows nothing about Din Tao able to lead his father's troupe to victory against the successful Wu Zheng's Din Tao troupe? All I can say about the show is that it's quite hilarious and an ok watch to me. Worth to watch once in a lifetime. 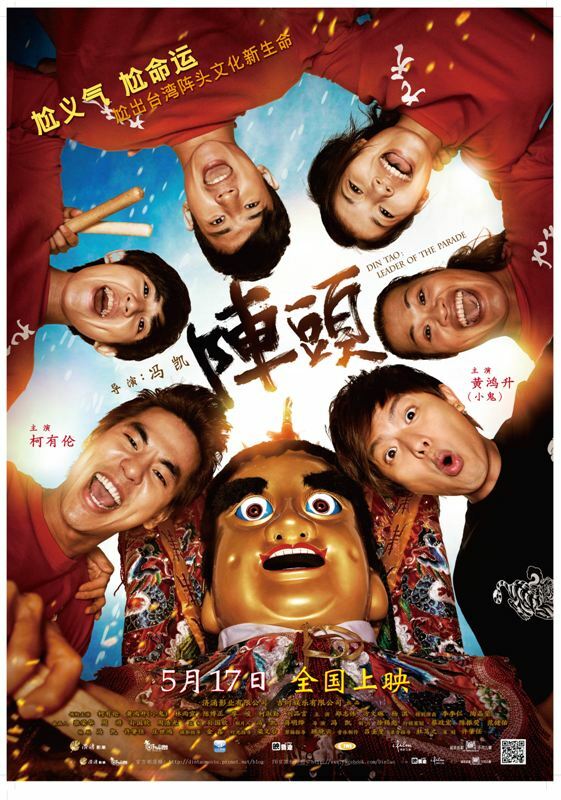 It'll be in cinemas around Malaysia starting May 17, 2012. I rate this show 3 stars out of 5.